At the moment, one of the industry’s most highly anticipated new vehicles is the 2019 Ford Ranger. After an eight-year hiatus, the Ranger will once again serve as a vital part of Ford’s vehicle portfolio. The Ranger’s rebirth also represents another revival for the Ford brand. Namely, the Ranger will be built at Ford’s Michigan Assembly Plant. In order to prepare the facilities for production of the 2019 Ford Ranger, Ford invested $850 million in the Michigan Assembly location. The Ford Michigan Assembly Plant first opened back in 1957. During that time, production was limited to a handful of Ford’s early station wagon models. Starting in 1966, the Ford Bronco was built at the Michigan-based facility. Ford’s Michigan Assembly Plant served as the home of Ford Bronco production for 30 years, until the Bronco was eventually discontinued. However, the Bronco is set to return for the 2020 model year, and, just like before, the Michigan Assembly Plant will serve as its official home. Before production on the 2020 Ford Bronco begins, Ford will first assemble the new 2019 Ford Ranger at the Michigan location. During the official launch of production for the mid-size truck, plant workers were allowed to navigate the Ranger through a custom off-road course. Off-roading is just one of the Ford Ranger’s many specialties. Ford is capitalizing on an automotive market that currently has a healthy appetite for pickup trucks by adding yet another model to its already impressive portfolio. 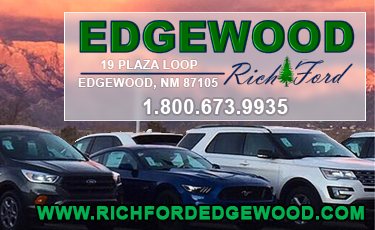 Under the hood of the 2019 Ford Ranger is a 2.3-liter EcoBoost® engine, which comes paired with the exclusive 10-speed automatic transmission. The reborn Ranger will also come equipped with some of the industry’s most impressive safety features, such as Pre-Collision Assist with Automatic Emergency Braking. Production is already underway for the 2019 Ford Ranger at the Michigan Assembly Plant. Drivers can expect to see the Ranger out on dealership lots sometime early next year. 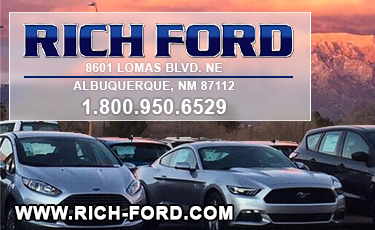 This article is presented by Rich Ford in Albuquerque, New Mexico.